From the man who told how he avenged his sister’s attacker, to the child who described how he remained brave in the face of his cancer, literally hundreds of thousands of New Yorkers have allowed Brandon Stanton to photograph them and record the private thoughts they may never have revealed to anyone else. 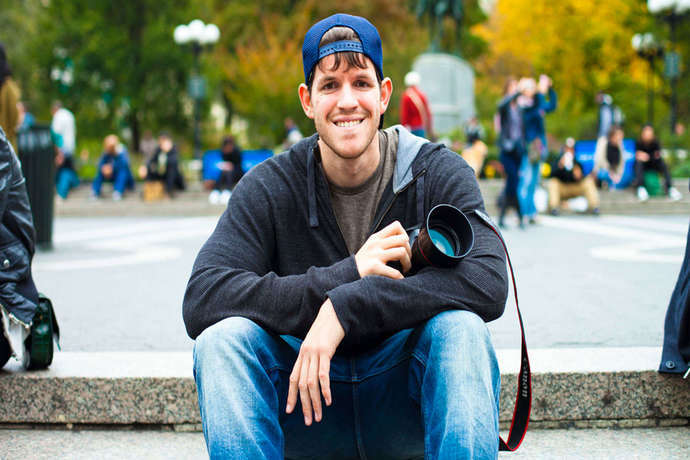 Humans of New York, which started in 2010, provides a peephole into the heart of the city. And with an eye-watering 18 million followers on Facebook, 7.5 million on Instagram and 772,000 on Twitter, a lot of people look into it. When Stanton wrote an open letter to then-presidential candidate Donald Trump — “you are a man who has encouraged prejudice and violence in the pursuit of personal power”, the letter said in part — it was “liked” by 2.3 million Facebook users and shared over a million times. Not just that, but Stanton has raised millions of dollars for people and causes to which he was sensitised while cataloguing their stories on his daily posts. At his Opera House appearance, Stanton will speak about some of his most iconic images and interviews. This is an unmissable event for fans of not only, Humans of New York, but also those of storytelling. Previous articleR&B/Soul Rising Superstar DANIEL CAESAR Has Announced An Australian Tour! I feel like as a writer/blogger, I’ve become really critical about what I write and want to share with you all – particularly when it comes to good music. I can often judge how good a song will be (or if it’s worthy) within the first 30 seconds. Crazy? Yes, but sometimes when your inbox is overflowing with music submissions and you’re a one-woman show, that’s just how it’s got to be. When I first heard this remix by Graves and Nehzuil though, I was completely hooked. You have to listen to it to understand the way I’m feeling right now.